No one enjoys sitting around the pharmacy area, waiting for their prescription to be ready. 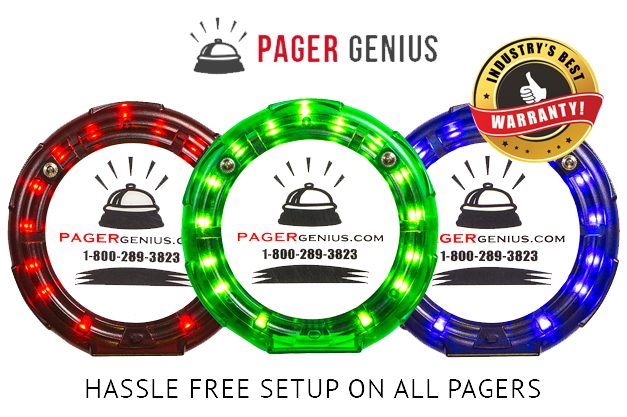 The Pager Genius System eliminates that irritating wait by giving you a fast and easy way to call your customers back to the pharmacy counter when you’re ready for them, no matter where they’ve gone on the property. Simply give each customer a pager and they can shop the rest of the store, go outside to talk on the phone, sit in their car, use the restroom or do whatever they please as their prescription is filled. When they’re needed back at the counter, type their pager number into the transmitter and they’ll be called back to you with visual and auditory cues, as well as vibration. 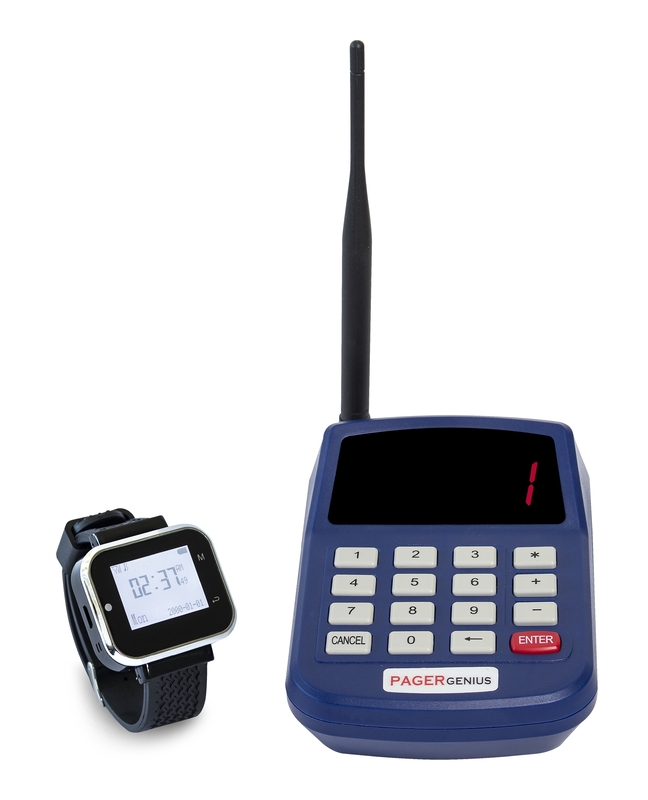 With our signal extenders, there’s no property too big for the Pager Genius System. Plug an extender into an electrical outlet, and the signal from the transmitter will be repeated from the extender’s location, allowing you to cover as much space as you need. Eliminate the need for noisy overhead paging or searching through the store for your patrons. This system will reduce wasted labor, maintain a pleasant atmosphere and improve your customer experience. We’re so confident that this paging system will improve your guest experience, staff coordination and bottom line, we’re offering a 30-day money-back guarantee on top of our standard two-year no-risk warranty.